Steve comes from a rich Christian heritage. His dad and grandfather were Anglican ministers in Kenya. As a young high school student, Steve dedicated his life to following Christ and His mission. 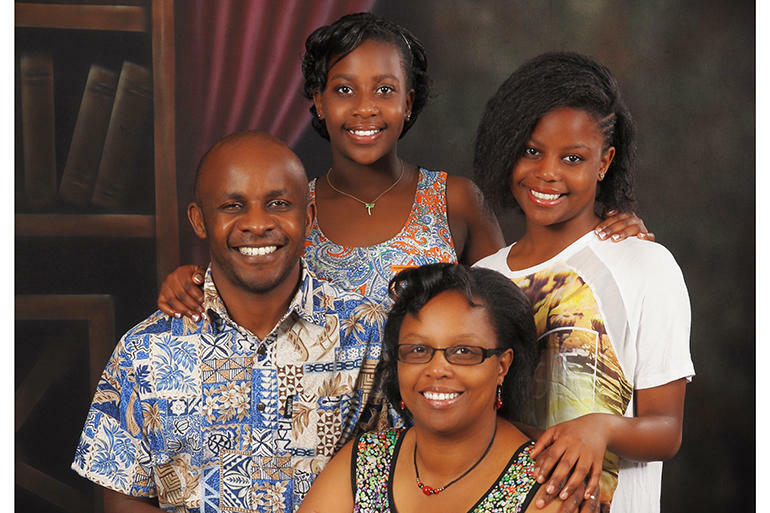 Upon completing a Bachelor of Arts degree in Sociology and Religious Studies and a Master of Divinity at Egerton University and African International University Kenya, he served as a pastor and church planter with Nairobi Chapel for 8 years. He was ordained deacon in the Anglican Church of Kenya in December 2003 and priest in December 2004. He also served as General Secretary of Church Army Africa in 2003, a society of Anglican evangelists based in Nairobi, Kenya. Steve’s role included overseeing more than 450 evangelists in nine African countries. Steve felt a strong call to New Zealand after speaking at the New Zealand Church Missionary Society (NZCMS) Mission Conference in 2006 where he first became aware of the enormous challenges here of secularism, individualism and a church seeking regeneration. In 2009, Steve was appointed National Director of NZCMS and he and his family moved to Christchurch where they have been living. Over the last 10 years Steve has been overseeing the mission sending arm of our church which has involved mobilising for mission, developing strategic partnerships between ACANZP and the church overseas, speaking in churches & dioceses about mission, recruiting and supporting Mission Partners and representing NZCMS in the Anglican Missions Board. When not traveling, Steve has been involved in his local Anglican church in Christchurch. Steve is a passionate follower of Jesus, holds to the Authority of Scripture and the power of the Gospel to transform lives. He likes to think outside the square has a ‘can do’ attitude and enjoys working with people of diverse backgrounds. His key skills include vision casting, strategic planning, preaching, cross cultural awareness, mission mobilisation and governance. He hopes to see churches thriving and growing as the Gospel is shared and disciples raised. He has been deeply moved by the story of Te rongopai in our whenua and the early CMS missionaries in Aotearoa 200 years ago and his dream is to see the renewal of the Te Hāhi Mihinare. For 21 years Steve has been married to Watiri, who has a background in counselling psychology, spiritual direction, supervision, pastoral care and debriefing. They have two daughters Rinna (18) and Tanielle (15). Steve & Watiri enjoy serving together in pastoral ministry. Steve’s other interests include running, coffee (he grew up on a coffee farm) and connecting with people.